Before we get started talking about your writing, tell us a little about yourself, where you’re from, what you do for a living—if you’re not a fulltime writer, what hobbies you have. That sort of thing! I retired in 2007 at 55. I was a Financial and Supply Chain Manager, which obviously leads naturally into writing fiction as a second career! I play with my grandchildren, travel, golf (badly), cook (and eat). Sounds like the good life of a retiree! Some of us have seen the photos of your recent trip to South America. They were some of the best pics I’ve seen, including glaciers and ruins. But that’s another conversation. What’s your favorite animal, color, season of the year? I love horses, used to ride fairly regularly when I was younger. No favorite color, although I have a lot of red shirts so my wife can spot me easily in a crowd if we get separated somewhere. When I lived in New Jersey, I loved autumn. We used to go somewhere in New England every year for our anniversary in October, stay at a B&B, and do a lot of leaf peeping. Not much of that in Florida. Tell us about your musical preferences? Rock and Jazz with some Classical thrown in if I’m in the mood. Richard Thompson is one of the most talented but underappreciated guitarists / songwriters around. More people should know about him. Always liked R.E.M and going back Procol Harum, whose Whiter Shade of Pale is one of the greatest songs ever. I love that song, too. What’s your favorite movie? Nothing to argue about there! Now that we know you a little better as a person, let’s get into your writing! What kind of books do you write (genre)? What books have you published so far? Those titles evoke a lot of curiosity! Tell us about your next book & when is it being published? The one I’m working on now is titled Raw Umber. I hope to have it out by the end of 2012. It will be written as the journal of a man who is in a mental hospital following a suicide attempt. Believe it or not, there will be a good amount of humor in it. I always was a voracious reader, and wanted to write, but never found the time until I retired. 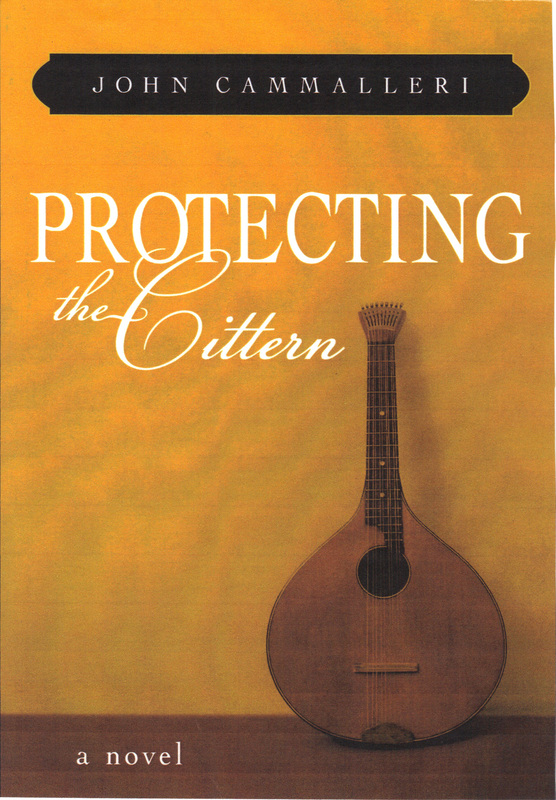 I’ve been told my style is similar to John Irving, particularly Protecting the Cittern. He’s my favorite contemporary novelist and I’m sure some of his style was internalized by me. I also like Tom Wolfe and Ian McEwan. I am, although I wish I had time to read more. Besides the aforementioned authors, I read mostly literary fiction and I also read quite a few biographies, especially US Presidents. I just love historical biographies! Recently read Mark Twain’s autobiography–it’s HUGE and talk about humor! Tell us who is your favorite author & why? John Irving. He has created some unique characters (Garp; Owen Meany) and his books are a great blend of humor and pathos. I’d like to think I have strong characters and put them in realistic situations. My first two books are loosely based on real events in my family history, although highly fictionalized. They both have, what I believe to be, a twist ending. Raw Umber will be a departure because it is totally fiction, but another surprise ending is promised. Can’t wait to read it! Now, let’s talk about your process. In general, how long do you spend writing a book? The first two took about a year each. The third looks to be working out the same, maybe a little longer. I haven’t been as disciplined as I should be. Well, you can’t write while that gorgeous scenery passes you by on a cruise ship. We all understand that! Where do you do your writing & what is your process like? I do my best writing sitting in my screened-in patio, which overlooks a lake. Sometimes staring at the lake, watching the waterfowl, gives me time to reflect and get ideas. Oh, that sounds like a wonderful writing spot! I start with a loose outline, with an ending in mind, but in all cases I’ve veered from it as I proceed and let the story take me where it wants to go. So far they’ve ended up better than my original vision, but I like having the initial roadmap. The key is not to be afraid of the detours. That’s for certain. I just love those detours we travel. How do you get ideas for your stories and characters? The first two books have a loose basis in reality. 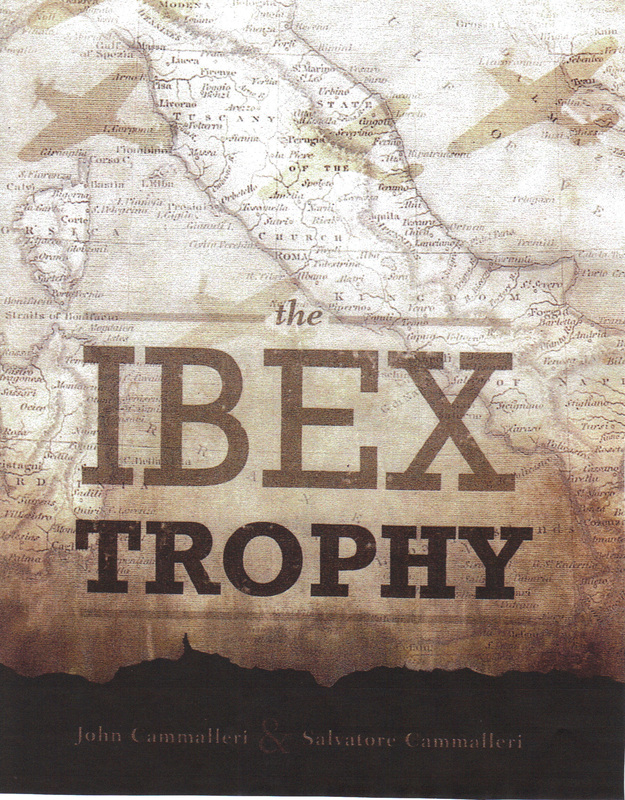 For The Ibex Trophy I used my father’s experiences as an Italian soldier in WWII. Raw Umber’s inspiration, believe it or not, came from an early Bee Gees song, World. The lines “If I remembered all of the things I have done / I’d remember all of the things I’ve done wrong / Why do they keep me here?” along with the haunting melody always made me think of someone who was put away and asked to rehash his past. Hence the journal written from a mental hospital. I don’t believe in self-editing. A person is too close to his own work. I belong to four critique groups and run most of my work through them as a first look. I make revisions based on some of their suggestions. But I used professional editors who were assigned to me by my publisher. 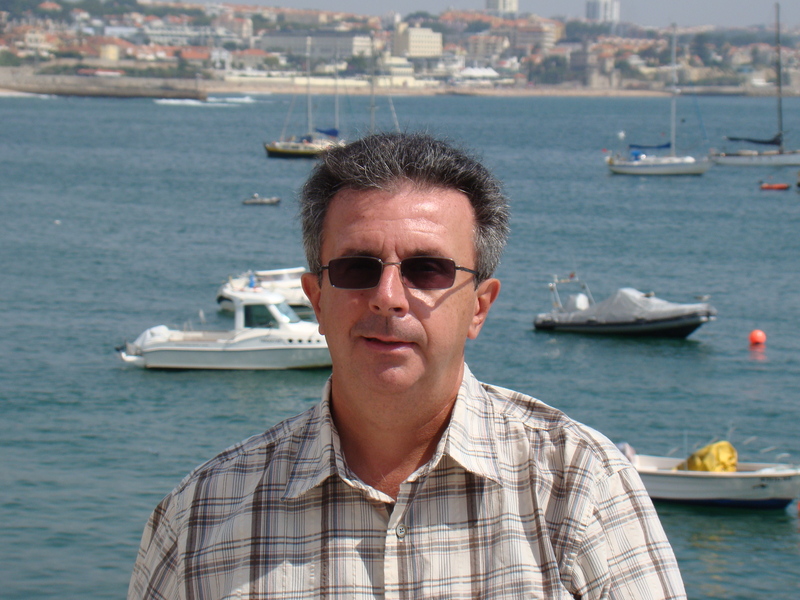 They specialized in literary and historical fiction to bring their expertise to each book. I get on a soapbox about editing because too many independent authors either don’t have it done, or think it only consists of correcting spelling and grammar. Most books need a thorough developmental edit, along with a copy edit, line edit, and proofreading to get an acceptable final product. As an Indie, I agree. But, I do think we’re getting better. I see more and more of us encouraging good editing. Speaking of encouragement, what is the best/worst advice you have ever gotten about writing? Best: Back to the editor. It’s crucial to get a good one and work with him / her. Worst: An author friend who is totally self-published says he doesn’t worry about spelling, grammar or much else. He says his readers don’t care about any of that; they just like his stories. I’ve seen his readers, though. He’s right. Excuse me while I do some head-banging on my desk! What’s the best/worst experience you have ever had as a writer? Best: Holding my first book in my hands. Worst: The first time I got comments back from the editor. I had to check my pride at the door, but ultimately I had to acknowledge that her comments were valid. The book was much better after I acted on her suggestions. Well, whether it’s a traditional published/editor or Indie reviews, we’ve all been there and fought our way back! What advice would you give a new author? Like Nike says, Just do it. If you have an idea, put it down on paper. Get it all down at first, without editing yourself in any way. Once that first, ugly, draft is done, you’re a writer. You can make it better later. Probably through music. I regret never mastering an instrument when I was younger, not that I didn’t try, I may still give it a shot. My web site is www.johncbooks.com and I just started a blog which is www.thoughtsfromthecamel.blogspot.com . Thanks so much for spending some time with us, John. I know you have a lot of catching up to do since you just returned from that wonderful trip. We appreciate you sharing with us!